I got so many questions on how to bake polymer clay so I decided to make a short video about it. 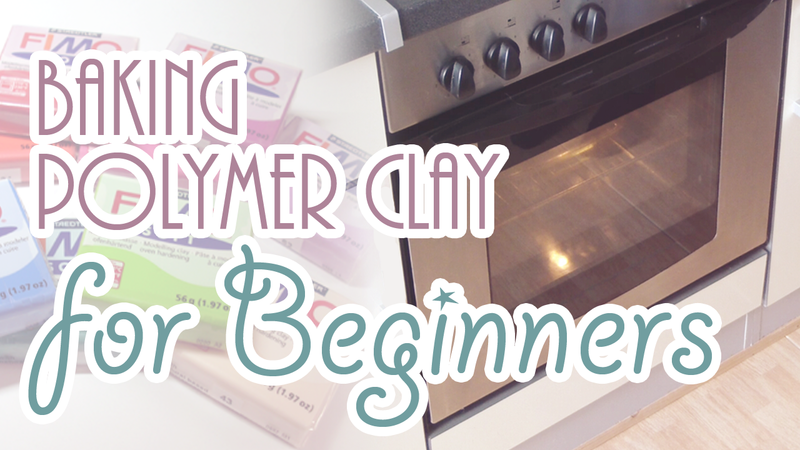 It covers what polymer clay actually is and why you have to bake it. I will show you what things you will need and some tips on the process! I hope you will find it helpful! Is there an alternative to baking the clay? – You can use air drying clay! I have one question.. I used this normal baking clay (Fimo) and air drying clay (also Fimo) and I find this air drying clay harder to work with, it doesn't seem to have the same quality, it breaks (while working) easily, I can't make very small objects, it's not very elastic and so on… so I was wondering do you have any experience with air drying clay and what do you think of it and do you have any tips?